Welcome to WCW CONSTRUCTION. We are committed to building a long term relationship between Home owner and Contractor. Our guarantee is 100% customer satisfaction. 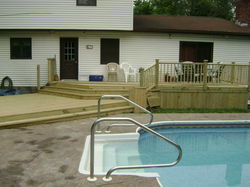 Custom designed Additions and decks will increase the value of your home. Build a deck to surround a pool or enhance your landscape. Add a garage or extra room to increase square footage. Finish existing bonus room. We will work with you and your budget to design your dreams. There is no question that new siding improves the curb appeal of your home. 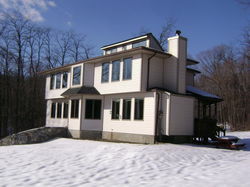 We specialize in several different types of siding. Vinyl, Cement board, cedar clap board, board and batten. On older homes we recommend the installation of a Styrofoam insulation installed prior to the siding. this will increase the R-value and subsequently lower your heating and cooling cost as well as outside noise reduction. Update your kitchen or bath with new fixtures, vanities, counters, tile, appliances,etc. Increase the beauty and value of your home. Replacing your old windows with new vinyl replacements will help reduce the heating and cooling cost of your home. We can order windows to fit the exact rough opening of the existing window in order to save on installation costs. We can also install custom Bays and Bows anywhere in your home. WCW is committed to customer satisfaction. All work is guaranteed.